Luke Hammill from The Oregonian interviewed Sean Z. Becker about how South Waterfront condominium sales are booming again. The article also features Homer Williams from Williams and Dame Development and Matt French from Zidell. This article was published on December 13th, 2015. 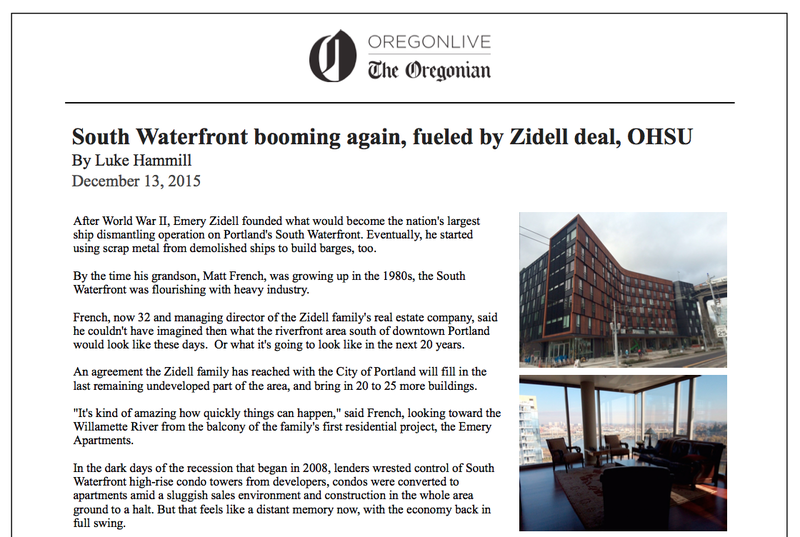 Read “South Waterfront booming again, fueled by Zidell deal, OHSU” here.